Review by Njugu on 5/6/2018. Review by Johnson Dibbles on 4/30/2018. 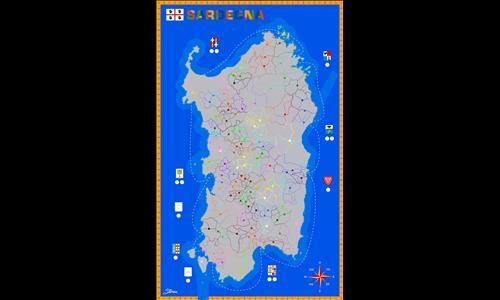 A great map that fills that Sardegna shaped hole in all of our hearts. Honestly, I can't believe this map hasn't been made before. Of course, you have Corsica and Sardinia by NinjaNic, but that map isn't very good. I have to commend Stirax just because he's the first. Nevertheless, I disliked the ports that connect to other parts of the island. I understand why some players like that they can have access to most places just through one territory, but I dislike it, and would have preferred it if there weren't any connections via the sea when there doesn't really need to be. Review by Nathan on 5/9/2018. Absolutely wonderful map. I love the previous comment about a Sardegna-shaped hole in one's heart. I couldn't agree more. What a fascinating place! One note - the connection between Tuili and Setzu is broken.